Summer is upon us and that means only one thing to the football community; the World Cup is approaching fast. Starting on June 12th the 32 countries play out the tournament culminating in the final match to crown a world champion in Rio de Janeiro, Brazil on July 13th. The World Cup Draw, held on December 6th to determine the groups of the tournament like always was a suspenseful event. This years competition is shaping up to be quite spectacular. Group A features the hosts Brazil who some consider to be the favorites to take the cup in their home country. They are joined by an up and coming European Croatian side, African giants Cameroon and Mexico who were able to just squeak into qualification. This is one of the better groups in the tournament featuring superstars such as Brazil’s Neymar, Cameroon’s Samuel Eto’o, Mario Mandzukic of Croatia and Manchester United and Mexico Javier “Chicharito” Hernandez. With the scoring firepower each of these squads possess, Group A should produce a few dynamic teams in the tournament. Group B features World Cup 2010 reigning champions and favorites of the Group, Spain, and the runner’s up to Spain, the Netherlands. They are joined by Chile and Australia. A rematch of the 2010 Final adds excitement to Group B and raises the stakes between Spain and the Netherlands. Chile once again is in Spain’s group and will continue to be a thorn in the sides of the Spanish. Australia is the final team to wrap up the group but faces an uphill battle to salvage points in a very tough group. Group C may be an overlooked group. Consisting of Colombia, Greece, Ivory Coast and Japan Group C could suprise some. With dynamic goal scorers like Radamel Falcao (Columbia), Didier Drogba (Ivory Coast), Kostas Mitroglou (Greece) and Keisuke Honda (Japan) it would not be a shock to see larger scores within the group. There isn’t a real stand apart squad in the group which also makes the competition to see who will move on much more interesting. Group C is definitely worth keeping an eye on. Group D is one of the tougher groups this year. 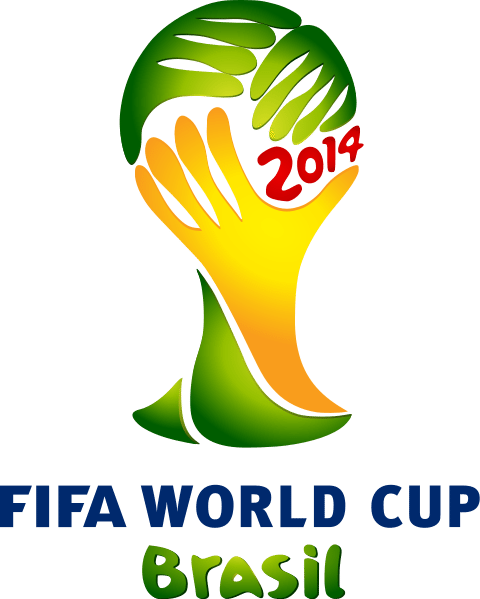 Featuring Italy, England, Uruguay, and Costa Rica will provide intense competition. While Italy is likely the favorite to take the group both England and Uruguay will look to challenge the Azzurri. Italy will be looking for revenge for losses to Spain in both Euro 2012 and the 2013 Confederations Cup. England also face much scrutiny after under performing in the eyes of their loyal followers. Led by prolific scorers Luis Suarez and Edinson Cavani Uruguay look to burst onto the scene and make a run for the Cup. Costa Rica will battle against these teams but the odds are not in their favor after being drawn into a very tough group. Group E is likely to be considered the easiest of the groups in the tournament. France is likely the favorite but are also accompanied by Ecuador, Switzerland and Honduras. Barring another catastrophic event like the unraveling of 2010’s competition it would be a shock to not have France take the group. They wont be able walk through the group though. For every tournament seems to come with a ‘Cinderella” and a squad from Group E may emerge looking for their other slipper. Group F is another intriguing Group. Argentina, Bosnia & Herzegovina, Iran and Nigeria all make up the competitive group. Argentina and Lionel Messi are most likely the favorites to take the group and make a serious run for the Cup. With the dynamic scoring threat of Argentina scores of Group F could be inflated. Bosnia & Herzegovina, Iran and Nigeria are all prepared to give them fierce competition though. Group G may see the fiercest competition of the tournament. The Germans are joined by Portugal and Ballon d’Or shortlister Ronaldo, Ghana and the United States. This group will most likely be considered the haunted “Group of Death” as the amount of talent present is quite high. Germany, in terms of squads, is the most complete and likely will present the toughest competition. Following the Germans is Ronaldo and Portugal. While Portugal had to beat Sweden to qualify that doesn’t make them any less deadly. Ronaldo is a game changer and in his current form can create fits for any opposing team. Ghana may seem at odds to compete but they African side have a very strong team and should face well. They also are joined by The United States whom they have eliminated from the competition every year since 2004. The U.S. is an up and coming force in the football world and could be a dark horse of the competition. Group G is going to be an exciting group to follow this summer. Group H wraps up the tournament with Belgium, Algeria, Russia and South Korea. This group is also a more wide open and competition should be intense. Belgium and Russia look to be the deadliest teams within the group both possessing multiple quality stars withing their teams. South Korea and Algeria should provide stiff competition to them. With the quality of the 32 teams present in this years competition, the battle for the World Cup should be as good as any. The suspense of the the upsets, beautiful goals and crowning of a new world champion will all reveal itself this summer in Rio with the beautiful game.